Download a 2.4MB printable JPEG (13.327 x 8.886 inches @ 300.00 pixels/inch) of the above photo. Download a 4.1MB printable JPEG (13.333 x 10 inches @ 300.00 pixels/inch) of the above photo. Download a 3.2MB printable JPEG (6.26x9.07 inches @ 300.00 pixels/inch) of the above photo. Download a 3.2MB printable JPEG (12.057x9.027 inches @ 300.00 pixels/inch) of the above photo. He has played with countless artists and has performed in all 50 states and in over 60 countries. 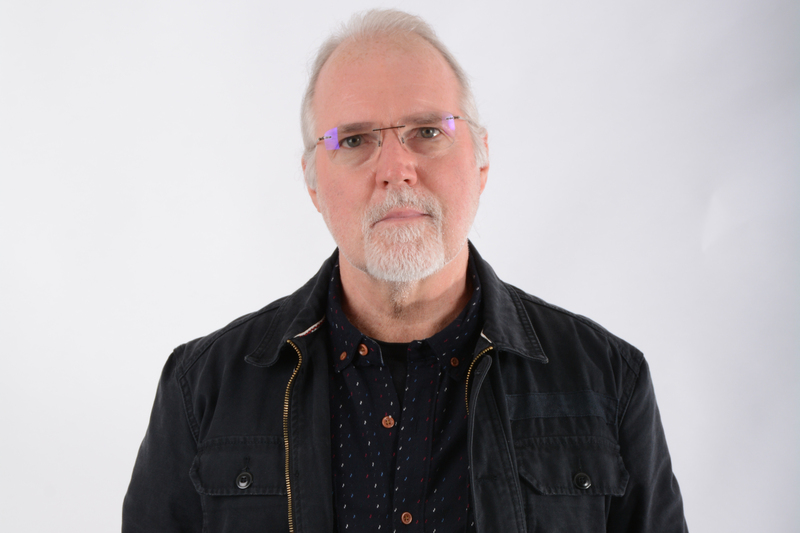 Paul has also played drums and percussion on hundreds of recordings, including Paul Winter’s Grammy nominated release, Earth: Voices Of A Planet, and on four of vocalist Kurt Elling’s Grammy nominated releases. He also hosted his own weekly radio show, Paul Wertico’s Wild World of Jazz, from 2010 to 2012. Paul is also extremely active in the field of education. In addition to teaching drums privately for over 45 years, Paul is an Associate Professor of Jazz Studies at Roosevelt University’s Chicago College of Performing Arts, and before becoming a full-time faculty member at CCPA, he served on the wind & percussion faculty of Northwestern University for 16 years. For over four decades, he’s conducted drum masterclasses, clinics, and workshops around the world and has written educational articles for numerous magazines. 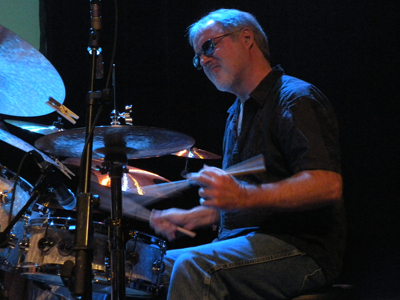 He also serves on the Advisory Board and the Pro-Panel of Modern Drummer magazine, the Education Committee of the Jazz Institute of Chicago, and he served five terms on the Board of Governors of The Recording Academy Chicago Chapter. In 2004, Paul was a Chicago Tribune “Chicagoan of the Year.” In 2010, the Cape Breton International Drum Festival honored him with a “Life Time Achievement Award” for his “Major Contribution To The World Of Drumming & Education,” and that year he was also a recipient of the Montréal Drum Fest’s “Lifetime Achievement Award.” As Musical Director for the crowdsourced TV video series Inventing The Future, Paul was nominated for a 2012-2013 Emmy Award in the “Outstanding Achievement In Interactivity” category by The National Academy of Television Arts & Sciences, Midwest Chapter. He's also the inventor of his signature product, TUBZ, made by Pro-Mark, who also makes the “Paul Wertico Signature Drum Stick”. 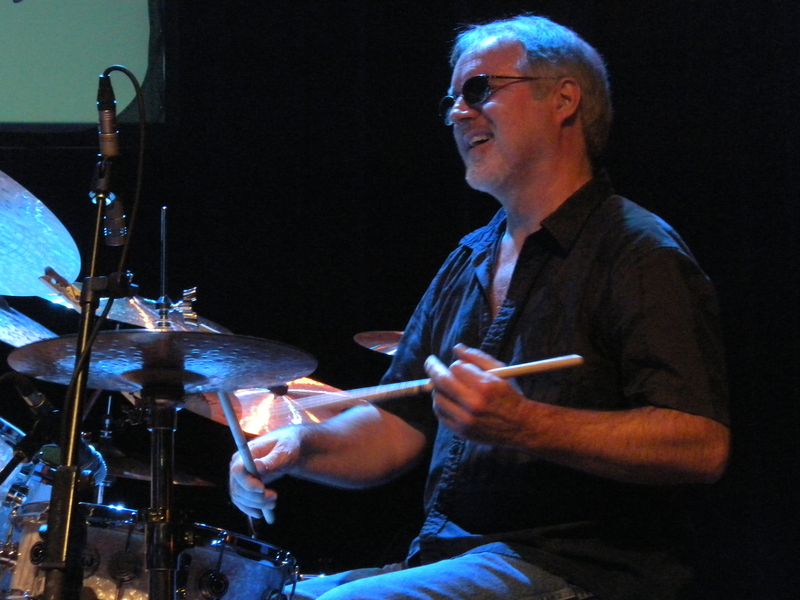 As a solo recording artist, Paul’s recordings have all received great critical praise and DownBeat magazine listed Paul’s CD, Impressions of a City, as one its “Best CDs of 2010.” His DVD, Paul Wertico's Drum Philosophy, was named “One of the best drum videos of the last 25 years” by Modern Drummer magazine. LA Weekly even wrote “His recent records, such as 2000’s Don’t Be Scared Anymore and the new StereoNucleosis, are stunning examples of the electronic, rhythmic and intellectual directions jazz could be going." Some of his latest releases include a DVD & CD by David Cain & Paul Wertico entitled Feast For The Senses; a CD by Paul Wertico & Frank Catalano entitled Topics of Conversation; a CD by Fabrizio Mocata, Gianmarco Scaglia & Paul Wertico entitled Free The Opera! ; a DVD & CD by Wertico Cain & Gray entitled Sound Portraits (which won “Best Live Performance Album” in the 13th Annual Independent Music Awards (2014); Wertico Cain & Gray’s second CD entitled Out In SPACE; Wertico Cain & Gray's second DVD & third CD entitled Organic Architecture; Wertico Cain & Gray's fourth CD & downloadable video release entitled Realization (which was nominated for “Best Live Performance Album” and “Best Long Form Video” in the 15th Annual Independent Music Awards (2016); Wertico Cain & Gray's fifth CD entitled Short Cuts - 40 Improvisations; and Wertico Cain & Gray's sixth CD entitled AfterLive. Last, but not least, Paul’s drum instructional book Turn The Beat Around (A Drummer’s Guide to Playing “Backbeats” on 1 & 3) was published by Alfred Music on July 7, 2017. Paul's major endorsements include: Drum Workshop, Sabian, Remo, Pro-Mark, and Shure.